Did you make your big pot of black beans? Do you have a few quarts stashed in the freezer? Good. This week we’re going to use them. Or if not, this recipe is also a great way to doctor up canned beans. In fact, that’s how I first got started using this recipe–nudging my canned beans toward deliciousness before I started cooking my own from scratch. Busy home cooks know not to be afraid of leftovers. This week’s recipes will include these beans, a pot of quinoa, and ideas for combining the two into black bean tacos and a taco salad. Cooking this way (using flavors you love and don’t mind eating a few times in a week! ), you will reap the benefits of big-batch cooking. In a week, you’ll go through a this pot of beans, another pot of grain, some good salsas, your entire bunch of cilantro, and maybe even a little tub of sour cream that won’t be left molding in the fridge after a single use. These beans can be served as a side dish with any Mexican food (like these fish tacos, for example), as a component of a recipe (try them layered into huevos rancheros), or as a main course, preferable nestled alongside some flavorful rice (or quinoa) and topped with a good salsa. Chop and saute a large onion until soft, then add a few cloves of minced garlic (and a chopped jalapeno, if you want some spice) and cook for a minute longer. Add a quart of home-cooked black beans with their cooking liquid to the pan, or two or three rinsed and drained cans of black beans. Add just enough water to barely cover the beans (you will need more water if you are using drained canned beans, obviously). Add a tsp. dried oregano and two tsp. ground cumin, plus salt to taste. The amount of salt you need will vary greatly depending on how salty the beans start out and whether you are using the bean-cooking liquid or water (or a combination), so experiment by adding it gradually and giving it a few minutes of simmering to work its way into the beans. Simmer for 15 minutes or so to let the flavors blend. You can mash some of the beans if you like, or cook them for longer to thicken the consistency. Finish by adding a huge handful of chopped cilantro (finely-chopped stems are fine here; this is a good place to use them up!) and the juice of 1/2 or a whole lime, plus more salt if needed to make the flavors sing. This entry was posted in Beans and Other Legumes, Mexican Flavors, Vegan or Would-Be-Just-As-Good-Vegan and tagged beans, cooking, dinner, family, food, homemade, kids, lifestyle, recipes, vegan, vegetarian on March 11, 2012 by emmycooks. I’m trying to use more dried beans at the moment and cook them from scratch. I love the combination of flavours in this dish. Me too. The black bean soup on your site also looks delicious! I’m with you about adding lime, lemon or vinegar at the last when cooking black beans. Yes. It’s like cooking greens, where a little acid at the end really brightens the flavors. Your mention of vinegar reminds me of a black bean soup with sherry vinegar that I love…luckily in Seattle it will still be soup weather for a while! Here in New Hampshire as well. I have never cooked with black beans, I’m totally going to try this recipe! I’m so glad! This is a good place to start. Cumin and Lime are an absolute favorite of mine! I love this. 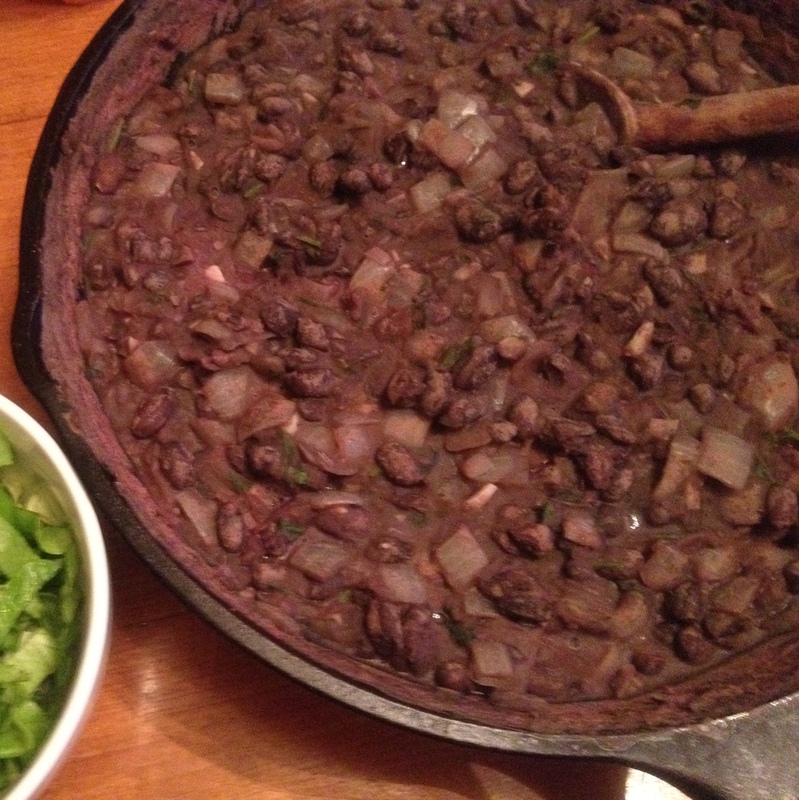 It’s one of my favorite ways to prepare black beans! And I don’t know why, but I think I fixed the wordpress dashboard thing, so now your blog is back on my list! Yay! Hey, Emmy’s blog has dropped off my list too. How did you fix it? I didn’t think it would work, but it did! I went onto the dashboard and “unfollowed,” and then I logged-off, restarted my computer, and logged back in and clicked, “follow,” again. I hope that it works for you! Don’t think I’ve ever eaten black beans – not really a staple here in Oz, but I’m going to track some down and try these, and do the quinoa too! This is helpful. I’ve been looking for ways to use black beans. I love them, but my husband doesn’t–this looks like an interesting side dish that would be just for me.